The Marsh is former Lammas Land. This was divided into strips on which hay was cultivated. After the hay �harvest, between 1 August �and 25 March, Parishioners could exercise ancient rights to freely graze their cattle and horses. Development gradually encroached on the open Marsh through the nineteenth century. 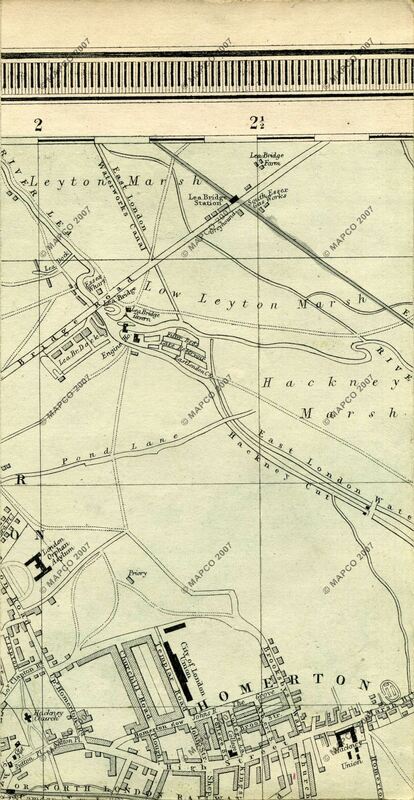 Railways, gas companies, sewage works and the East London Waterworks Company�acquired land and closed footpaths and bridleways, sometimes by stealth.�There is a long history of opposition and�protest in defence of the Marshes. The name Porter's Field Meadow is thought to refer to �the market porters who hauled farm produce from the open fields to the London Markets. One of the main routes, the 'Market Porter's Route' or Black Path, transects Leyton Marsh from north east to south west. Rubble from buildings bombed in the Blitz�was dumped on the Marsh during World War II. This raised ground levels above the natural flood plain of the River Lea. As a result, the northern boundary of Leyton Marsh (the old boundary of the Parishes of Leyton and Walthamstow) is marked by a steep tree-lined embankment with the Walthamstow Marshes below and beyond. The Marsh was the location of the�Lea Bridge Fair�until the development of the Ice Centre. The raised embankment across Leyton Marsh with a cycle route on top is the remains of an old aqueduct of the East London Waterworks, long since infilled. A �6m temporary basketball training venue was constructed on the Marsh for the London 2012 Olympic and Paralympic Games.